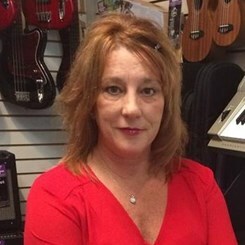 Christine graduated from the Manhattan School of Music in 1985, and has studied piano pedagogy (the teaching of piano) at Wagner College in Staten Island. She taught music at Our Lady Queen of Peace, and was the music director at Bethel Evangelical Free Church, both also in Staten Island. She has played piano and organ for various churches throughout New Jersey, and has been teaching privately for 40 years. Request Lessons with Christine Metzger today!